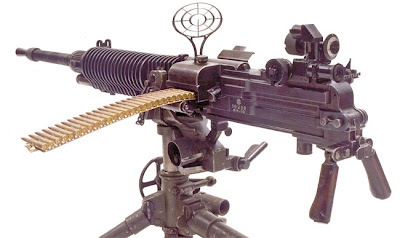 The Type 92 was essentially a scaled-up version of the Type 3 Heavy Machine Gun, with its calibre increased to 7.7 mm, and like the Type 3 was air cooled, ammo strip fed, and based on the Hotchkiss M1914.It could use both a rimless and semi-rimmed 7.7x58mm Shiki round.A 7.7 round could be used if needed or if other ammunition supplies dwindled.Rounds fired from the gun traveled at about 2,400 ft/s, and the rate of fire was about 450 rpm. It was sometimes used as a light anti-aircraft gun during the Pacific War. It was nicknamed "woodpecker" by Western Allied soldiers because of the characteristic sound it made when fired, and the "chicken neck" by Chinese soldiers due to its appearance.The Type 92 had a maximum range of 4,500 meters, but a practical range of 800 meters. The gun was intended to be fired on a tripod with a team of 3 men. 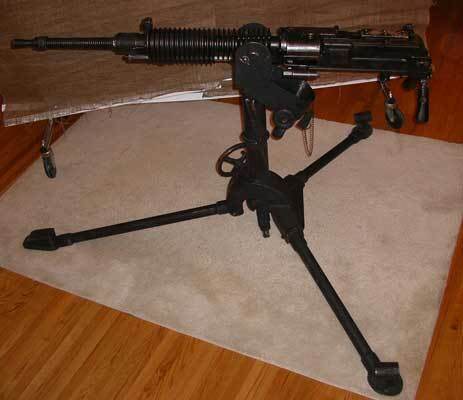 The unusual tripod was designed with removable carry poles, so that the weapon could be transported fully assembled for quicker deployment. 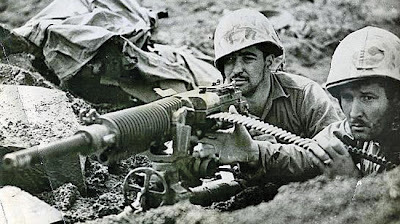 An unusual characteristic of this gun was the placement of its iron sights – canted slightly to the right instead of center. 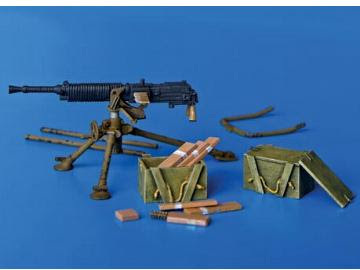 A number of different sights were produced for the weapon, the Type 93 and Type 94 periscopic sights as well as the Type 96 telescopic sight. 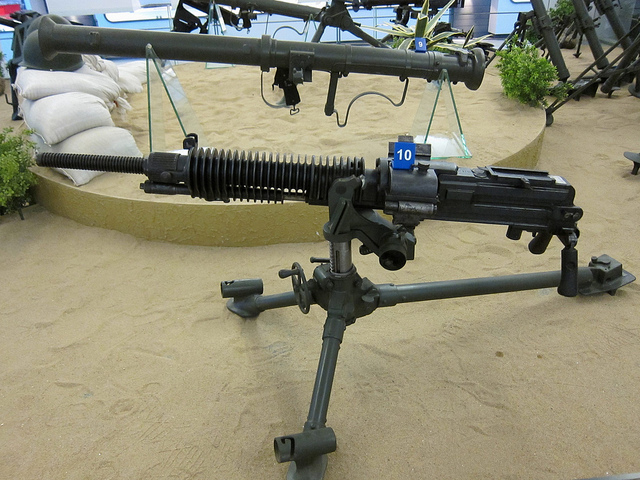 A ring-type anti-aircraft sight was also produced. 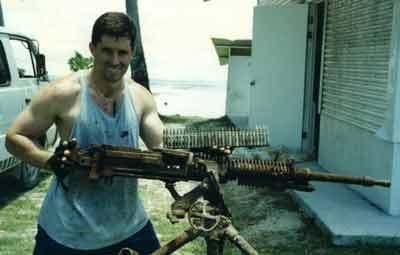 A major problem with this weapon was the short strip. This led to a lowering in the rate of fire, and could cause jams in the loading mechanism. To alleviate this the Japanese oiled the rounds in the factories producing the ammunition. However, this caused the problem to escalate, as the grease picked up dirt during operations. 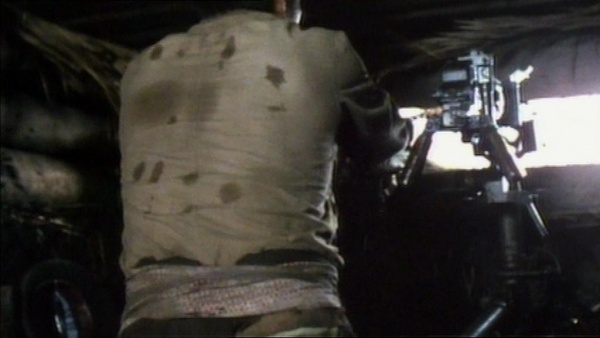 This grime was then deposited directly into the breech mechanism, worsening the problem. 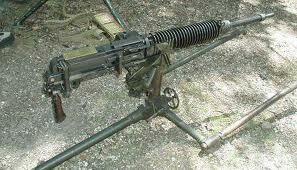 This was a problem common among Japanese machine guns.